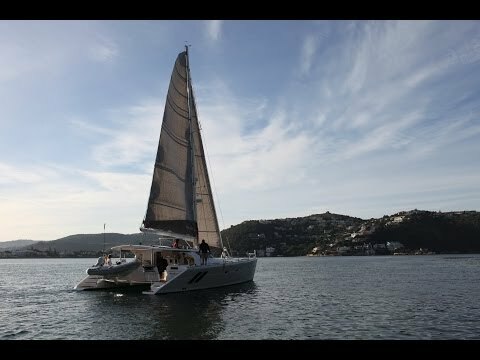 Knysna Yacht is a boutique builder that cranks out about four Knysna 500s each year. Knysna builds semi-custom boats—they make sure that the vessel is constructed to be a sound cruiser and everything that goes in between those bulkheads is, up to the customer. Knysna likes to fly customers out to the factory for a tour and to work with Kevin and the design team on the details of the build. This is a rare private vessel in Charter configuration with 4 double cabins and crew cabin in the port bow. “Catch my Drift” has cruised the Indian oceans islands and is now getting minor work done at the shipyard. Bluewater ready.